Nordic and Baltic Prime Ministers stand firm on sanctions until peace in Ukraine. “Russia is now challenging the European security order and we must have a united front against this. Sanctions should continue as long as Russia does not implement the requirements from the Minsk agreement,” said Sweden’s Prime Minister Stefan Lövfen to the press after meeting his Nordic and Baltic colleagues on Wednesday. The Prime Ministers met in Copenhagen where the Nordic Council of Ministers has meetings this week. Russia’s military buildup and the increased tensions in the Baltics changes the security landscape for the Nordic countries. By inviting the three Baltic states’ Prime Ministers to Copenhagen, The Nordic cooperation widens its security sphere. High level political talks with Russia, however, is not on the agenda. “That is out of question,” Stefan Lövfen said when asked about possibilities to invite President Vladimir Putin to Sweden for talks. Norway’s Prime Minister Erna Solberg highlighted that Norway has a good cooperation with Russia in the north. “In the north it is not as high tensions as we have seen in the Baltics. We have good cooperation with Russia on a lot of common areas and issues of importance,” Solberg said. She then underlined the need to follow international law. “I think it is extremely important for all of us believing in democracy, rule of law; small countries like we are. We are dependent on, and our first line of defence, is international law. That’s why it is important to stand firm, to have the sanctions,” Prime Minister Solberg said. “The hope is that this will affect so Russia wishes to start to cooperate more and that we see deliveries on the Minsk agreement,” the Norwegian Prime Minister said and pointed to Russia’s annexation of Crime in 2014 and Moscow’s military personnel being in the eastern part of Ukraine. “We will keep dialog and discussions, but we can’t have a world where big countries do like they want to do to others,” Erna Solberg said. Denmark’s Prime Minister Lars Løkke Rasmussen called on tighter Nordic-Baltic cooperation on security. “We need close Nordic-Baltic cooperation to maintain stability in out region,” he said. 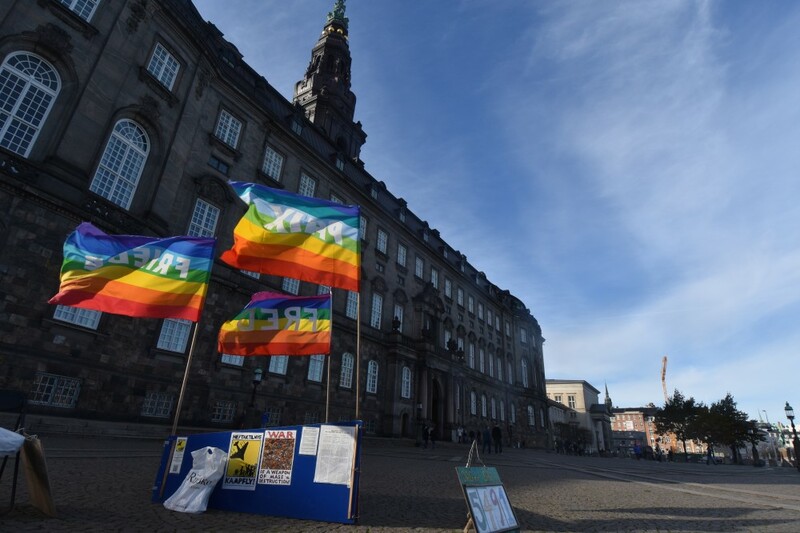 While the Prime Ministers seem to agree on the wordings, several of the parliamentarians in the Nordic Council asked to calm down the rhetoric. Norwegian Parliament Member Kåre Simensen, representing Finnmark County that borders Russia in the north, says to the Barents Observer he hopes the Nordic countries don’t turn their back on Russia, but are open for dialog. Simensen is one of the 87 members of Nordic parliaments that meet at the session of the Nordic Council. Sweden’s Foreign Minister, Margot Wallström, also calls for dialog with Russia. “The Baltics should be an ocean of peace, we should have low tension and dialog with Russia,” she said. Wallström names the Arctic Council as another arena for continued political dialog with Russia. 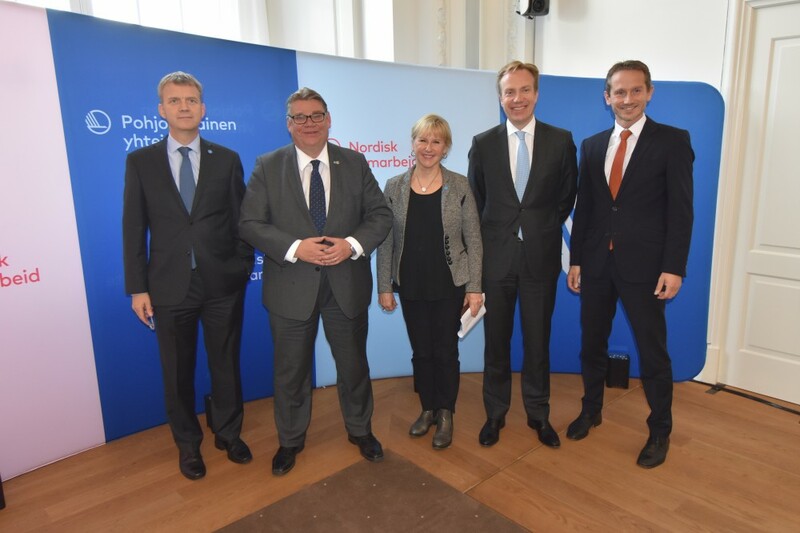 All Nordic Foreign Ministers were present in Copenhagen.